When I was young, it was my good fortune to make the acquaintance of an old German Jew who was dying, here in London, from the effects of long hardship and privation, of overwork and poverty. I did what I could to save, to prolong his life. I got him sent to Algeria, to the south of France, and got the most brilliant young physician on Harley Street to look after him. But it was too late. In the short time I knew him, he taught me more than all other teachers, dead or living. He saw more clearly than any other man the disease that was killing the world. His name was Karl Marx. The man who spoke these words was named E. Ray Lankester. He was one of Great Britain’s foremost biologists at the turn of the twentieth century, and one of the few present at Marx’s funeral. Karl Marx lived from 1818 to 1883. By the autumn of 1850, half of his life had passed. He was truly a man of the 1800s, rooted in his century. Today he belongs to the distant past, yet his name constantly crops up. The collapse of the Soviet Empire at rst appeared to bury him in its rubble, in the oblivion that surrounds the hopelessly obso- lete. Marx was only the rst in a series of repugnant gures who now, fortunately, had been consigned to the history books: everything that had been realized in the Soviet Union and China had been designed rst in Marx’s imagination. This is a notion that is still widely prevalent. But it soon turned out that Marx had an active afterlife, independent of the disintegration of empires. More than a few regretted his demise. The most in uential of these was Jacques Derrida, the French philosopher, who played an important role in the intellectual life of the twentieth century. In 1993, he published Specters of Marx, in which he conceded that Marx was indeed dead, but nevertheless haunted a world of growing injustices like a ghost. 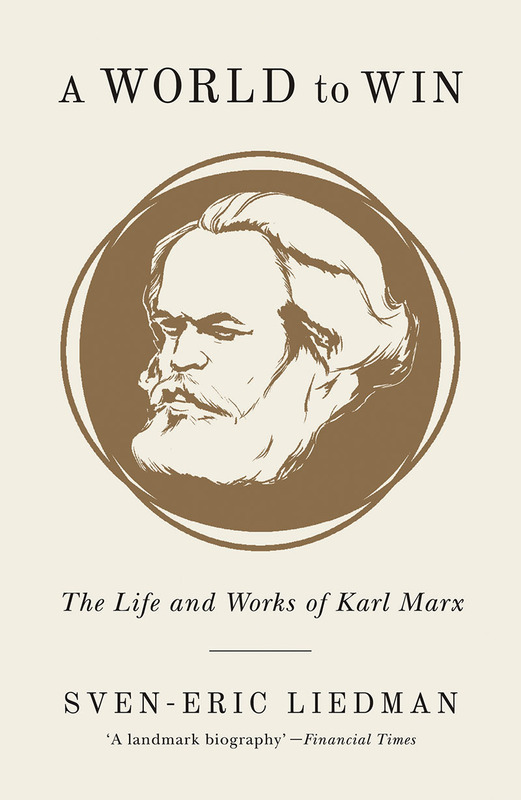 Another French philosopher, Étienne Balibar, also published an ingenious little book in which he asserted that Marx’s thought was extremely relevant to today’s world, while the philosophy trumpeted from the Soviet Union had no actual connection with Marx. These anecdotes may seem trivial. Someone who is a celebrity, a public gure people readily refer to, does not need to be influential in a serious sense. It is more telling that Marx is constantly part of the discussion of the fateful questions of our time. When French economist Thomas Piketty caused a sensation in 2013 with his voluminous Capital in the Twenty-first Century, Marx’s name dominated the ood of commentary the book gave rise to. Traditional economists ascribed to Piketty all the sins for which they routinely blame Marx, and enthusiasts took the promise in the book’s punning title quite literally: a new Capital for the twenty-first century. In fact, the distance between Piketty and Marx is quite large. Piketty is not interested in the duel between labour and capital; his focus is on finance capital. The similarity lies in the long historical perspective, as well as in the attention paid to the growing – and in the long run catastrophic – division between the few who hold more and more power through their riches, and the many who are thereby rendered powerless. Piketty himself is eager to emphasize Marx’s significance. Marx’s thesis on the unending accumulation of capital is as fundamental for economic analysis in the twenty-first century as it was for the nineteenth, Piketty says. Sociologist Göran Therborn attacks the growing division in the world from another direction in his 2013 book, The Killing Fields of Inequality. He points out that the growing inequality cannot be measured only by widening gaps in income and wealth. Differences in health and lifespan – and people’s opportunities in general to develop in an adequate manner – are also appearing. Therborn perceives a particular existential inequalty that concerns rights, dignity, respect, and degrees of freedom, for example. It turns out that this inequality, in all its aspects, is now rapidly accelerating even in Europe, especially in the Nordic countries. Therborn himself has a background in Marxism and, by all appearances, now considers himself a post-Marxist – that is, remaining in the tradition but free from all ties to previous groups. Indeed, one of his later books, from 2008, is titled From Marxism to Post-Marxism? In the face of another fateful question of the age – the environmental crisis in general and the climate crisis in particular – Marx’s name sometimes comes up. This may seem surprising: the empire that had its ideological origins in Marx – the Soviet Union – caused unparalleled environmental destruction. But those who go directly to Marx without detouring through Stalin, Khrushchev and Brezhnev nd that he certainly cared about the environment. Material production for him was an interaction between nature and humanity that had been eliminated as a result of capitalism. The person who has most emphasized this (and to some extent overemphasized it) is American sociologist John Bellamy Foster, above all in his 2000 book Marx’s Ecology. Foster’s perspective turns up in Naomi Klein’s 2014 grand general scrutiny of the relationship between capitalism and climate, This Changes Everything. Marx is also present in discussions about the new class society that developed in the decades around the turn of the twenty-first century. British economist Guy Standing perceived a new social class in the world of that era. He published a widely discussed book about it in 2011: The Precariat: The New Dangerous Class. He considers people of today who are living in an incessantly uncertain nancial situation as belonging to the precariat. He perceives three different layers: workers who, through de-industrialization, have lost their jobs and have no prospect for employment; refugees from the world’s hotbeds of crisis who have been forced out into the margins of society; and, nally, well-educated people who are reduced to temporary, equally uncertain, positions that are interspersed with periods of unemployment. This is a diversity that is perhaps entirely too large for the term to be manageable. But there is an important unifying link here that has to do with the labour market and the conditions of employment. More and more people are relegated to a diffuse borderland between temporary jobs and no jobs at all. The relative security that the workers’ movement fought for is becoming more and more restricted, and the social safety net is growing thinner or being torn to shreds in recurring crises. It is natural that the crisis that crossed the world in 2008 and 2009 aroused a new interest in Marx, and for Capital in particular. With the fall of the Berlin Wall in 1989, many said with pleasure that not only the Soviet Empire, but Karl Marx too would thereby lose all relevance they had had so far. It is fitting that the Soviet Union was sent to the past once and for all after 1991, but not Marx. And why not Marx? To approach the question, we must first take a step back. The societal change that characterized Marx’s work more than any other was industrialization, and with it the development of a workers’ movement. Today, those developments appear distant and close at the same time. In countries where mass production once began, we have entered into a post-industrial society. The nineteenth-century sweatshops that Marx had in mind are now found chiefly in countries such as China, Indonesia, and the Philippines. In Europe and the United States, other class divisions than those of the 1800s and 1900s are getting wider and deeper. A large number of economists who portray the reality of the early twenty-first century as the best – indeed, the only natural – one are doing everything they can to convince ordinary people that they belong to the great capitalist community of interest. ‘It’s everyone’s money that’s at stake,’ they chant. Their own theory is built on the notion of an eternal equilibrium in a world of restless change. We could call it a new kind of more prosaic Platonism. Something eternal exists beyond the chaotic diversity that the senses (and the charts) bear witness to. What could be more natural in a situation like this than to summon Karl Marx back from the shadows? No social theory is more dynamic than his. No one speaks more clearly about widening class divisions than he does. It is impossible to read the introductory, stylistically razor-sharp and rhetorically perfect first pages of the Communist Manifesto without recognizing the society that is ours. The bourgeoisie ‘has drowned the most heavenly ecstasies of religious fervour, of chivalrous enthusiasm, of philistine sentimentalism in the icy water of egotistical calculation’. Are we not again living in that society? Have we not come back to the reality of the 1840s, even if more globalized and technologically more advanced? The free flow of commodities is the norm that forces other norms to shrink into insignificance. Marx can, sometimes, come almost painfully close to describing our current world. Today, a brutal economism dominates many minds to the extent that it has become invisible for them. It is often called neoliberalism, after the school that Milton Friedman became the symbol of in the 1970s. But the name does not matter. The important thing is that many of Friedman’s ideas have become everyday life; the market dominates every detail, and even states and municipalities are run like businesses. Friedman’s spiritual forefathers – the representatives of the Manchester School – lived in Marx’s time, with John Bright and Richard Cobden leading the way. For them too, free trade would solve all problems. Marx harboured a reluctant admiration for the Manchester liberals, seeing them as heralds for a development that had to precede the society he himself was ghting for. At the same time, he attacked them heatedly when they claimed to represent the whole of the people – the workers as well – against the aristocracy. Marx wrote much about Cobden and Bright and their followers, especially in his articles in the New York Daily Tribune. The Marx of the twenty- rst century must brace himself against the reality that has been created since the 1980s. 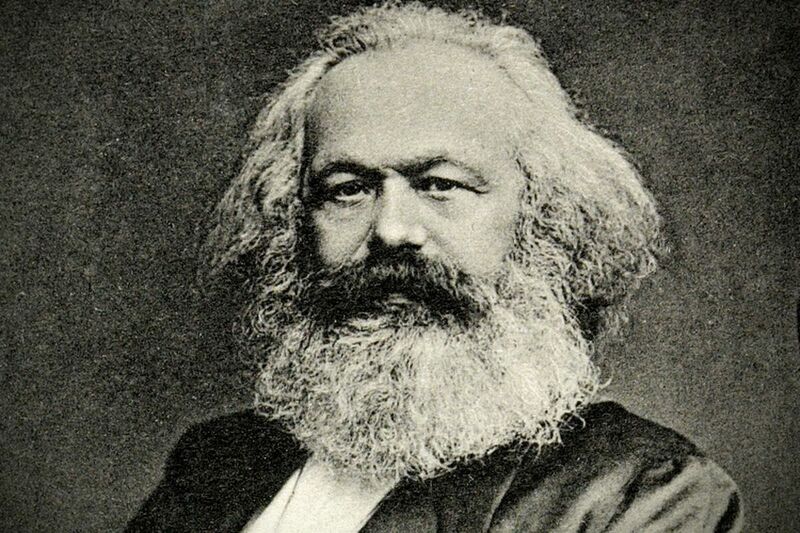 Today, Marx may be discussed and often cited, but he has only a fraction of the influence he – apparently, at least – had fifty or a hundred years ago. In a way, this is paradoxical. His vision of society would seem to appear less pertinent then than it does now. The Soviet Union, which was supposed to be following in his footsteps, was characterized by many things, from censorship, forced labour camps, and rule by the bosses to schools and univer- sities for everyone and guaranteed support for a non-modernistic culture – indeed, a ‘philistine sentimentalism’, to use the words of the Manifesto. In the other Europe, where Marx is also found in the family tree, certain politicians could talk about democratic socialism, and there – despite many shortcomings and injus- tices – moderate social security prevailed for most. The economy blossomed, preparing the ground for reforms that made life more tolerable for ordinary folk. Of course, there were still class divisions, but not as precipitous as a hundred years earlier. Marx’s analysis of his time thus makes better sense today than it did fifty years ago. Its accuracy applies, above all, to the way capitalism works. But Marx had not counted on capitalism’s ability to constantly renew itself and develop new productive forces. Today, capitalism appears more dominant than ever. In the only large country where Marx still has a place of honour – China – he has to put up with constantly being drenched in the ‘icy water of egotistical calculation’. Communism has become the ‘Sunday best’, tight as a straitjacket. Everyday life is marked by a race for market shares, as ruthless as it is successful. Marx’s analysis of the way capitalism works is being brilliantly confirmed. But for him, it would have been inconceivable that a country that quotes him would drive capitalism to its utmost extremes. It is in this paradoxical situation that entering deep into the study of Marx becomes important. - this is an edited excerpt from Sven Eric Liedman's A World to Win: The Life and Works of Karl Marx - currently 50% off as part of our end-of-year sale.